In 1861 nineteen-year-old Bertie, Prince of Wales, began an affair with the Irish actress Nellie Cliffden. 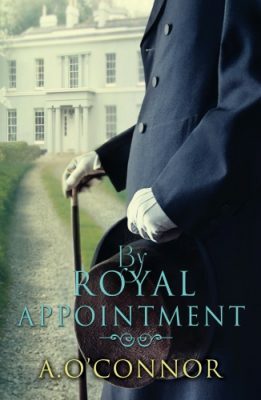 By Royal Appointment is a fictionalised account of their story, based on true event. In the years following the Great Famine of the 1840’s, Queen Victoria has become deeply unpopular in Ireland. In 1861, as an official visit from the monarch is planned to win over her Irish subjects, her son Bertie is dispatched to County Kildare for military training as part of the charm offensive. Bertie has undergone a life of duty, protocol and a harsh educational regime. As a frantic search is under way to find him a suitable princess to marry, he relishes the prospect of freedom from court life in Ireland. There, he is quickly introduced to a life of decadence and soon presented to the notorious actress Nellie Cliffden. Nellie is as famous for her shocking behaviour as her beauty. A famine orphan who has climbed the ladder of society by any means she could, even she is shocked to find herself in the company of the Prince. When Bertie and Nellie fall in love, the royal family is engulfed in a scandal threatening the future of the monarchy and Nellie becomes a pawn in a dangerous world of power, politics and blackmail.